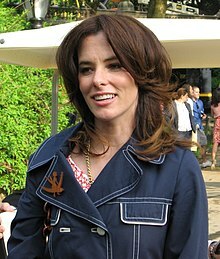 پارکر پوزی (اینگیلیسجه: Parker Posey) آمریکالی اوْیونچو ۱۹۹۱–گۆنوموز ایللر آراسیندا سینما ساحه‌سینده چالیشیب. 1998 More Tales of the City Connie Bradshaw Episode "1.1"
2000 Futurama Umbriel Voice; episode: "The Deep South"
2000 The Simpsons Becky Voice; episode: "It's a Mad, Mad, Mad, Mad Marge"
2009 Bored to Death Michelle Whiting Episode: "The Case of the Stolen Skateboard"
2011 Parks and Recreation Lindsay Carlisle Shay Episode: "Eagleton"
2012 New Girl Casey Episode: "Re-Launch"
2014 Inside Amy Schumer Parker Posey Episode: "Allergic to Nuts"
2015 Drunk History Mary Phelps Jacob Episode: "Inventors"
2016 Skylanders Academy Dreamcatcher Voice; episode: "Dream Girls"
2018 Robot Chicken Lenny Busker / Angela / Sphinx Voice; episode: "Gimme That Chocolate Milk"
اینگیلیسجه ویکی‌پدیاسی‌نین ایشلدنلری طرفیندن یارانمیش«Parker Posey»، مقاله‌سیندن گؤتورولوبدور. ( ۲۱ دسامبر ۲۰۱۷ تاریخینده یوْخلانیلیبدیر). قارداش پروژه‌لرده پارکر پوزی گؤره داها آرتیق بیلگی‌لر تاپابیلرسینیز.